Motorcycle Fairing - Motorbike Fairing - CBR - GSXR Fairings | NiceCycle.com: Kawasaki Ninja 300 Motorcycle Fairings - Now Available! 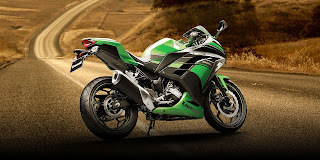 Kawasaki Ninja 300 Motorcycle Fairings - Now Available! Ninja 300 Fairings are here! NiceCycle is happy to announce that we are now offering motorcycle fairings for the all new Kawasaki Ninja 300. Thats right! Kawasaki Ninja 300 Fairings are in stock and ready to ship. We can offer them in similar OEM color options - or a full blown custom paint job!